All of us get distracted at some point and some of us are more easily distracted than others. It doesn’t have to be just an external interruption since even our own internal thoughts can waylay us from our task at hand. Aside from tracking down racehorse blinders and a friend’s noise cancellation headphones, here are a few suggestions to help keep distractions at bay so you can complete a project at work or study for that looming chemistry exam. We know technology has its benefits and we may be attached to our phones and computers, but there are times when being “disconnected” is worthwhile. Answering a text takes only mere seconds away from a task. Getting back to the task isn’t as quick and it doesn’t mean you immediately return to the level of focus you were at before you glanced at your phone. Indeed, according to Gloria Mark, professor in the department of informatics the University of California, Irvine and who studies digital distraction, once a person is distracted, it can take them 23 minutes to get back on track. So, you may want to rethink taking a peak at Facebook or keeping your phone nearby when you’re faced with an important task. The following may help reduce distractions so you can complete what you need to do and move on to what you want to do. 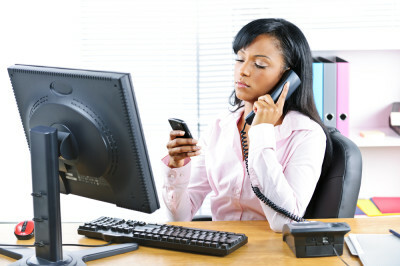 Set your phone on silent or better yet, place it somewhere out of easy reach when you’re working. I Focus on Work www.ifocusonwork.com It’s for PC and a tool that allows you to track and restrict your computer use. It helps you improve time management and fight procrastination, too. Focus booster www.focusboosterapp.com For Mac or Windows. It’s based on the Pomodoro technique. Keep a notepad next to you and “park” any thoughts that run through your mind that aren’t relevant to the task at hand. That way, you’re saving your energy and not depleting your willpower muscle trying to remember to make a dentist appointment or to call your mom tomorrow to wish her a happy birthday. You get those thoughts out of your head and on paper so you can stay focused on what you need to be working on. Musicovery www.musicovery.com is a free web radio that allows you to choose songs according to genre and mood. (It is suggested that listening to music with 60-80 beats per minute that coincides with your heart rate is ideal and so is listening to music in another language or to songs that only are instrumental so the words won’t be a distraction. Pandora www.pandora.com/ enables you to create playlists. “Japanese Pop Stars” has a steady beat that’s great for working. If you’re bothered by noise, try Ambience ambianceapp.com You can choose from over 1,000 sounds. Ambisci 100 https://itunes.apple.com/us/app/100-binaural-beats-isochronic/id369912947?mt=8 combines electronic music loops with binaural beats than help you to focus. Calm.com www.calm.com and stopbreathethink http://stopbreathethink.org offer relaxation/meditation exercises for as short a time as 2 minutes to enhance your focus so you can be less distracted. Well, enough with the reading here. It’s time to get back to work!